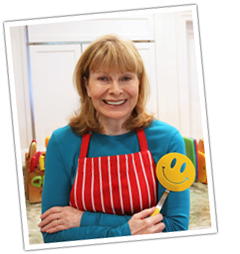 Hello, I found your site by putting in a search for “what happened to Jenny Jones” and here you are! I really enjoyed watching your “how to” video on granola making and I was wondering how long it lasts in the fridge? or what do you do with it when it is done baking? leave it out? how long does it stay fresh? have you ever tried granola in the Special K box? I did and it was amazing sooooo good, could I use that granola to make my own granola ? could I bake that granola do you think when I make my own type of granola ?? Please let me know, I am on a restricted diet and have plenty of operations on my pancreas (due to gall stones) Now my pancreas does not work and I have chronic pancreatitis, so I must really watch what I eat. granola is perfect for my diet. thanks for all your help and I am glad I found your site! thanks so much.!!! 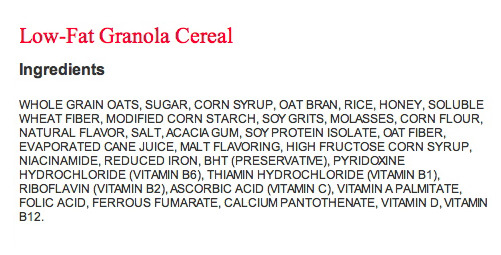 Karyn, if your health is a priority, I suggest you make your own granola and not eat the Special K brand. The second ingredient is sugar and then it contains honey and high fructose corn syrup. Yikes! You probably like it because it’s extra sweet so I suggest making my recipe and you can increase the brown sugar to 1/2 cup. Well, that’s my 2 cents. 4 Comments on "Karyn Asks About Granola"
Hi Jenny I asked you a question relative to your oven/baker that you used. or the name or brand……….but I do not see any response so far. You asked this question in my blog post of Nov. 25th and I replied there at the time. Please use the “Ask/Tell Me Anything” link in the blog to ask generic questions. We put your question and answer there. I don’t do specifically gluten-free recipes but I only post my own recipes that I make regularly for myself at home, so they are all tried and true.